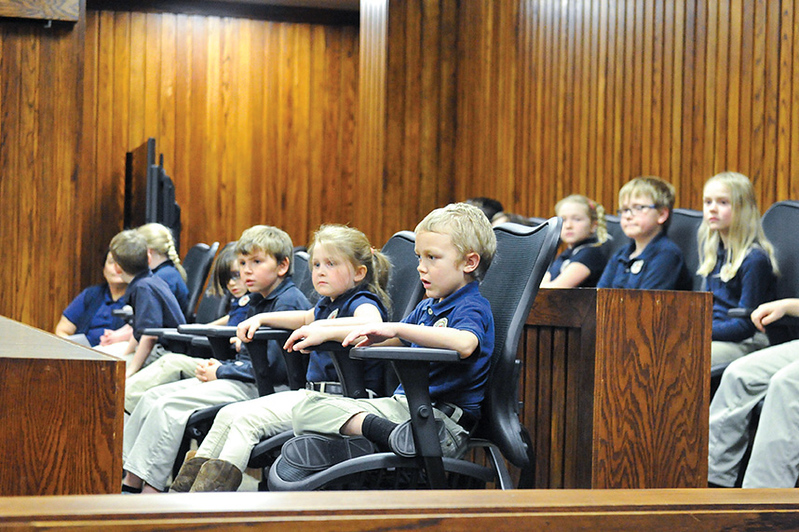 Students from the Martin Luther Grammar School sit in the jury box in 4th Judicial District Court and wait for the naturalization ceremony to begin Monday, Feb. 26, 2018. 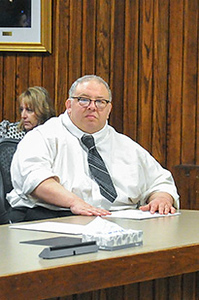 Francesco D’Antoni from Italy waits for the naturalization ceremony to begin in 4th Judicial District Court Monday, Feb. 26, 2018. 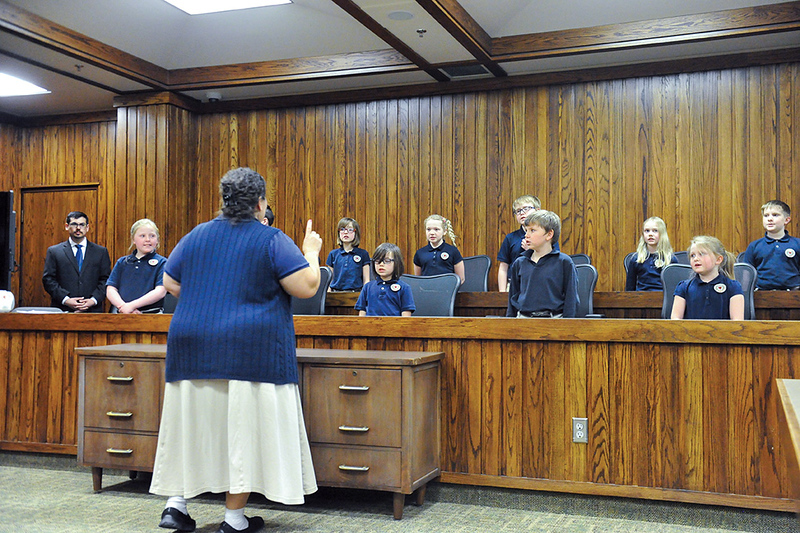 Students from the Martin Luther Grammar School sing an American tune during the naturalization ceremony in 4th Judicial District Court Monday, Feb. 26, 2018. 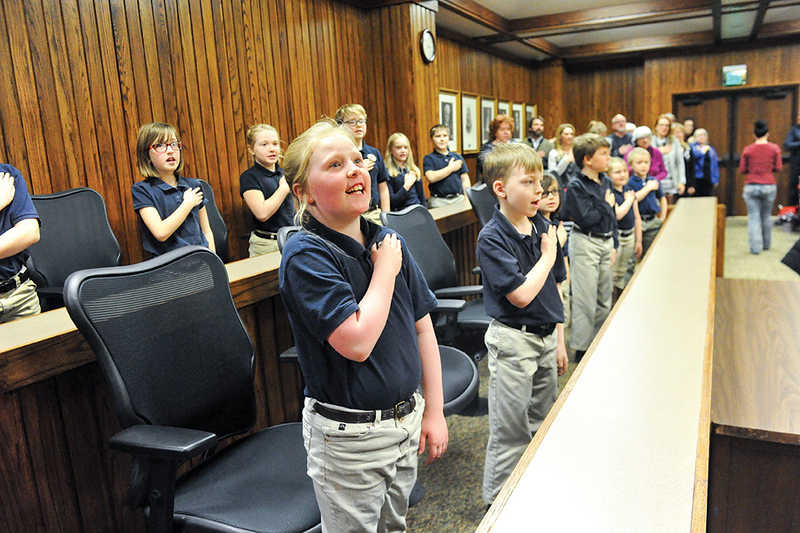 Students from the Martin Luther Grammar School join in on the Pledge of Allegiance during the naturalization ceremony in 4th Judicial District Court Monday, Feb. 26, 2018. 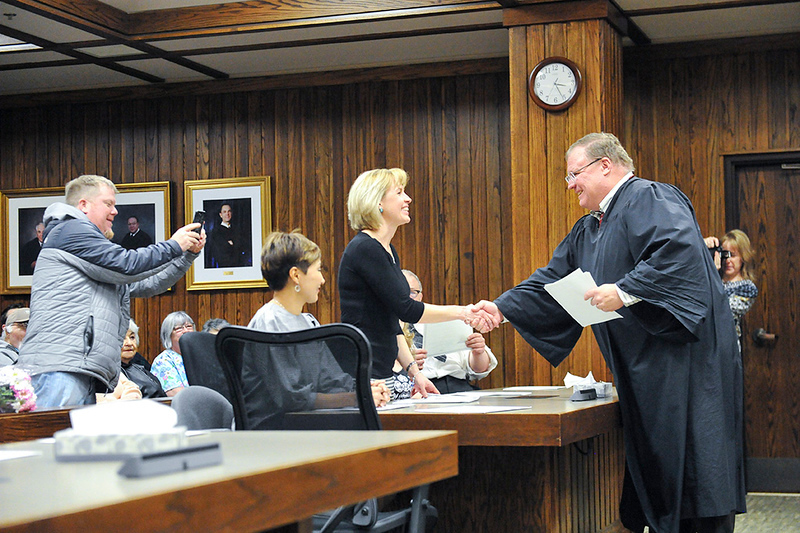 Uliana Metelskaya from Russia receives his citizenship certificate from Judge John Fenn Monday, Feb. 26, 2018. 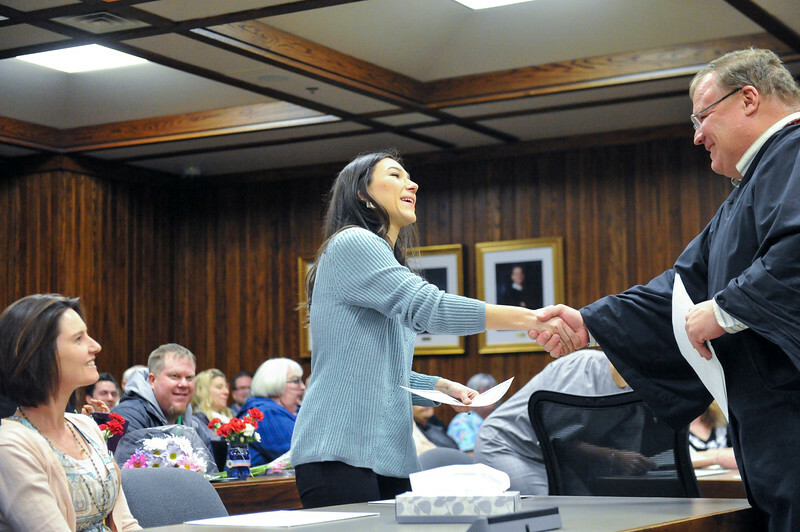 Anara Cooper from Kazakhstan receives his citizenship certificate from Judge John Fenn Monday, Feb. 26, 2018. 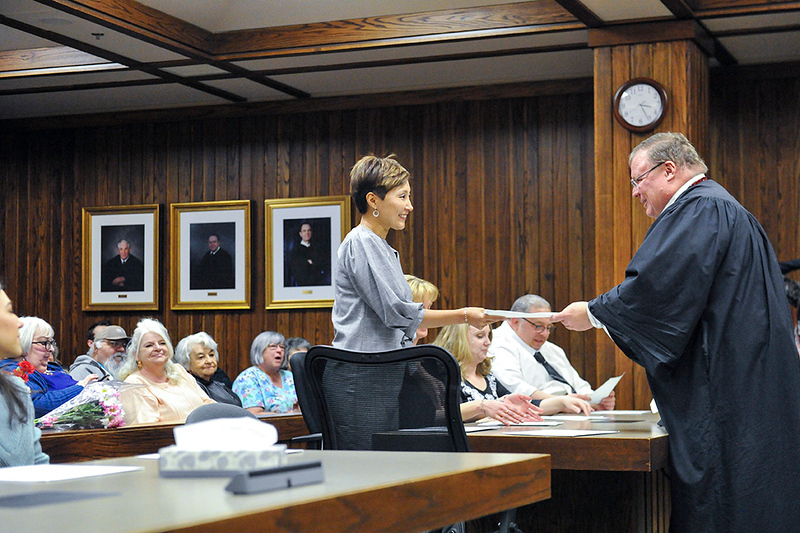 Carla O’Leary from Brazil receives his citizenship certificate from Judge John Fenn Monday, Feb. 26, 2018. 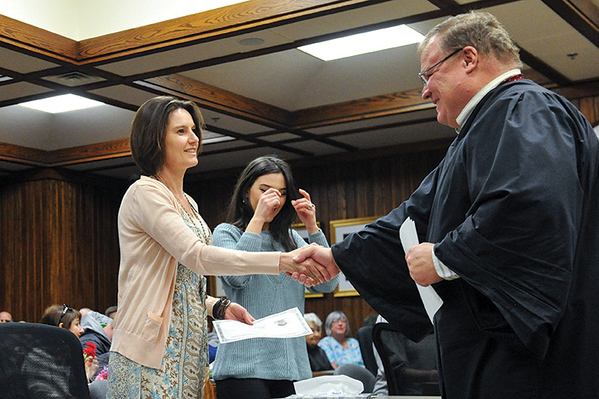 Shannon Whittle from South Africa receives her certificate of citizenship from Judge John Fenn Monday, Feb. 26, 2018. 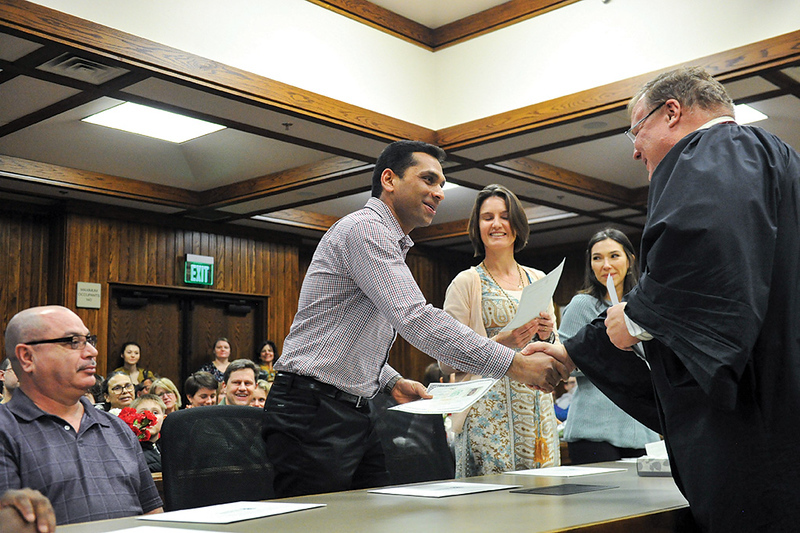 Jins Ulahannan from India receives his certificate of citizenship from Judge John Fenn Monday, Feb. 26, 2018. 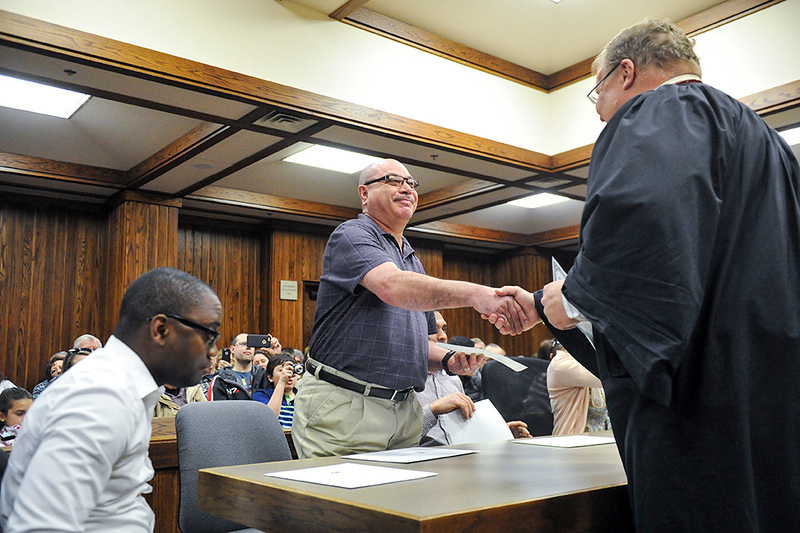 Juan Esparza from Mexico receives his citizenship certificate from Judge John Fenn Monday, Feb. 26, 2018. 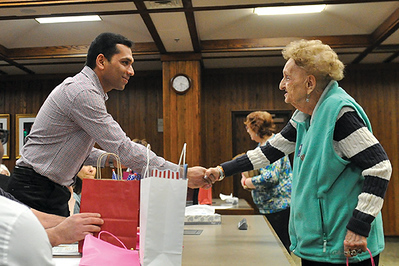 Jins Ulahannan from India receives a gift bag from Inez Oliver Monday, Feb. 26, 2018. 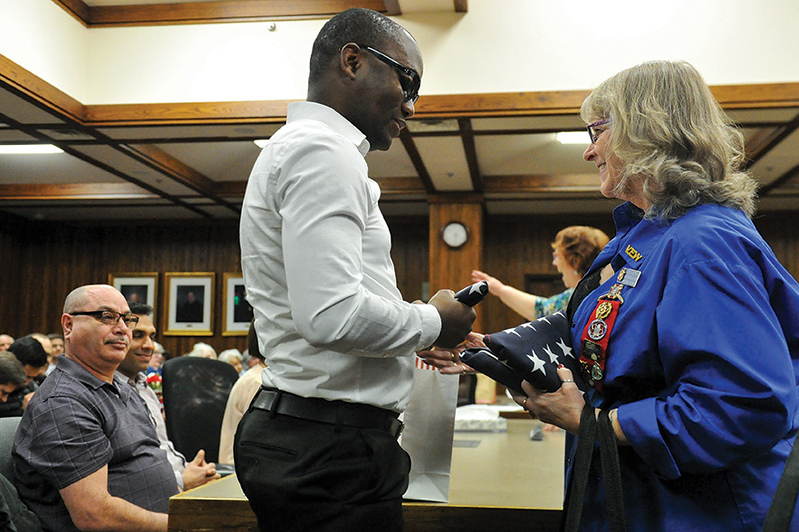 Gilbert Yapo of Ivory Coast, Africa, receives an American flag from a VFW member Monday, Feb. 26, 2018. 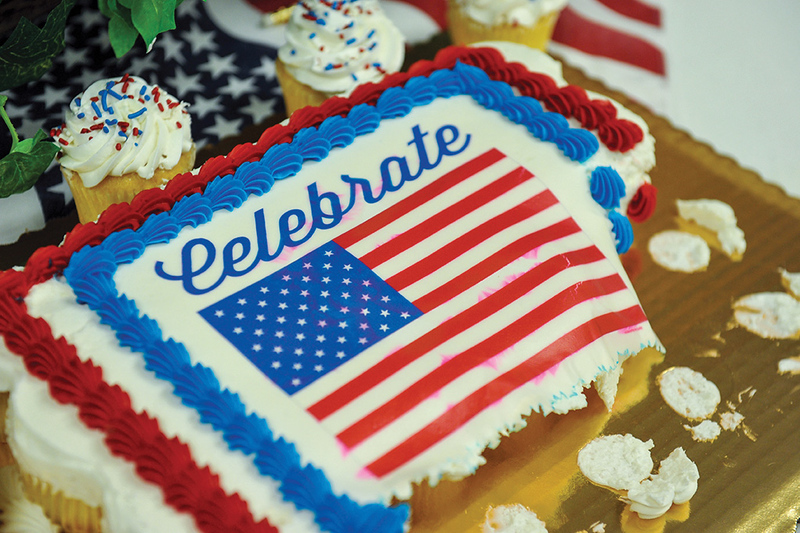 A cupcake cake decorated with the American flag sits half eaten following the naturalization ceremony Feb. 26 in 4th Judicial District Court.